I had the first working test program so I asked around for people to test it and give feedback on it. over and over so I asked her what she needed she told me so I add that option to the program. Then she need something else so I add that option. 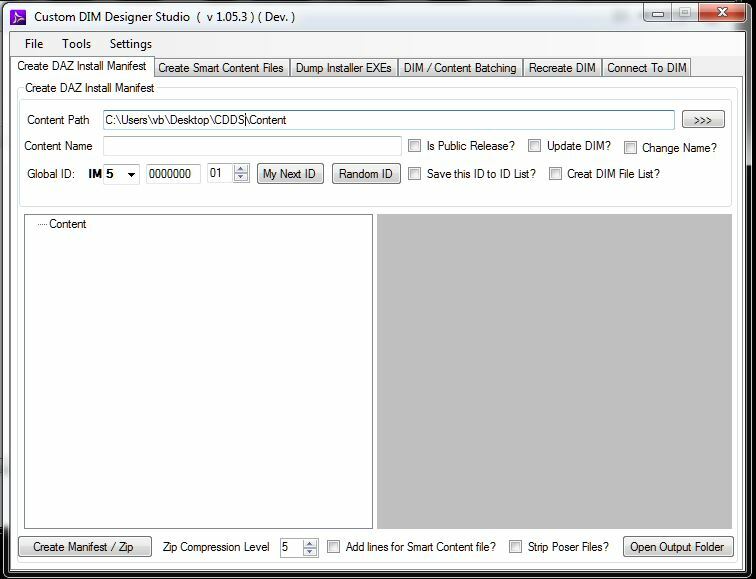 After a while the name "Smart Content DIM Creator"
name "Custom DIM Designer Studio". 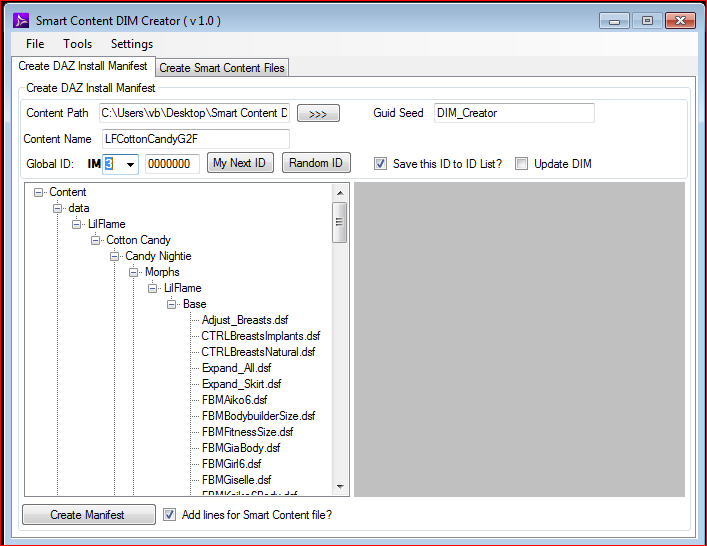 folder as CDDS and can be opened from within CDDS for easy access. So enclosing a very big thanks goes to "Akkaal" as kind of a co developer.